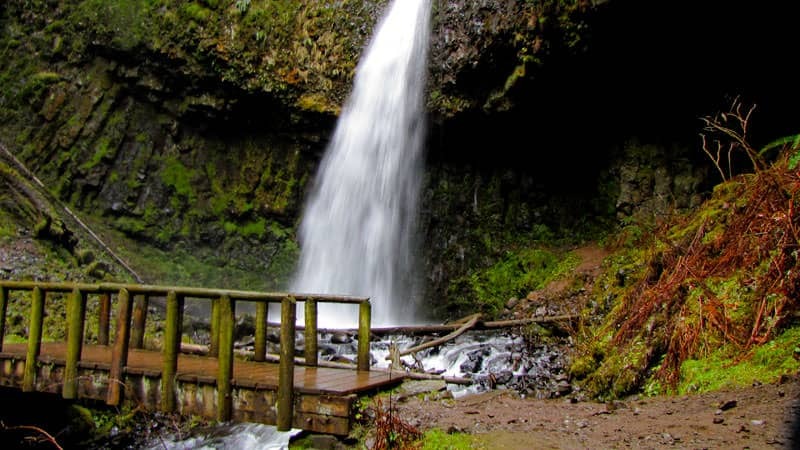 Latourell Falls is a great short hike. 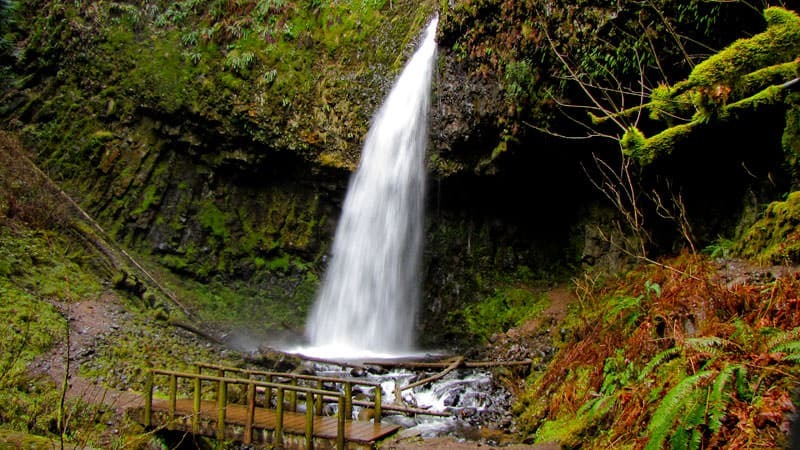 It has 2 waterfalls – Latourell and Upper Latourell Falls. 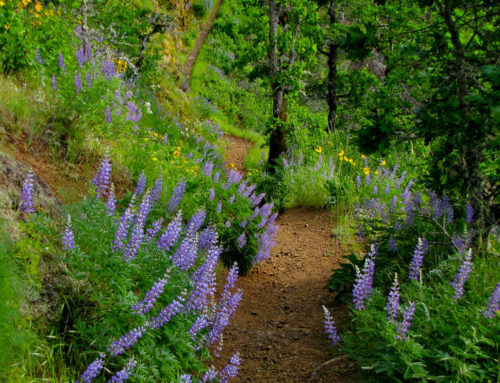 The trail is wide and well maintained. 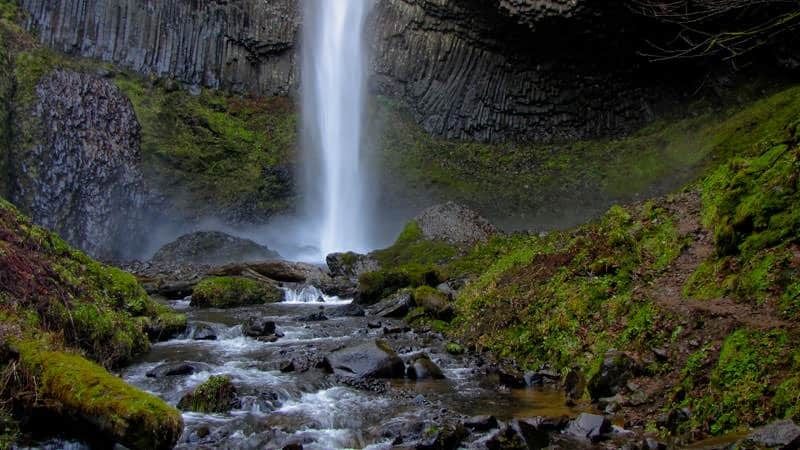 There are 2 loops – the big loop contains both waterfalls and there is a small loop that will show just the main waterfall – Latourell Falls (pictured here). 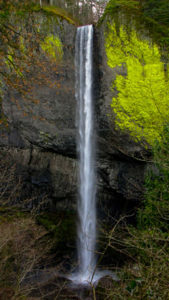 Latourell is 249 foot waterfall that is beautiful all year long. 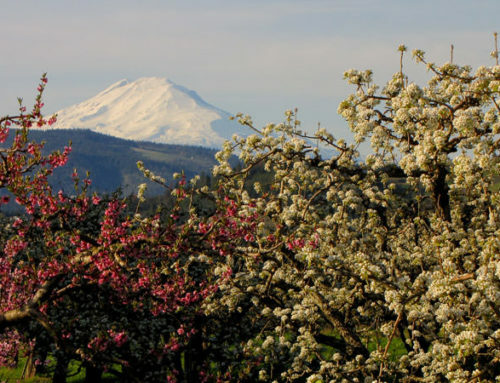 The images here were taken during the winter months. 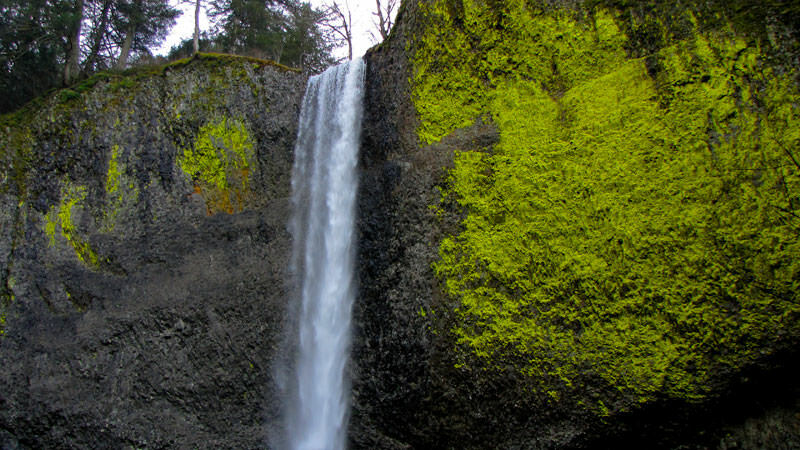 It has neon green lichen – or moss (not sure) that grows on the cliff rocks next to the waterfall. 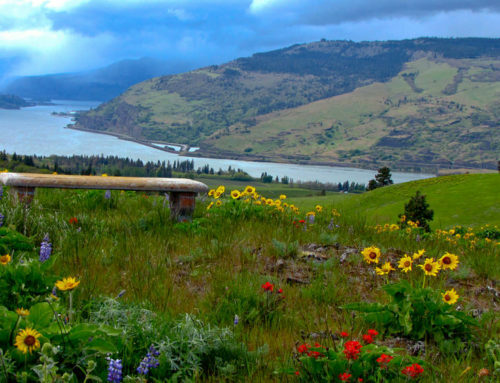 The trail is accessible from a parking lot on the Historic Columbia River Highway (HCRH). There are picnic tables and outhouses at the parking area. 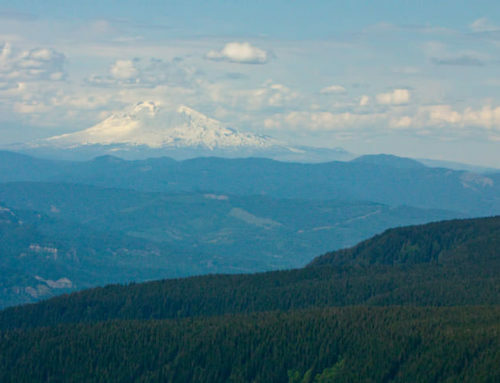 The small loop trail will take you to the base of Latourell then around into Guy Talbot Park just on the other side of the HCRH. 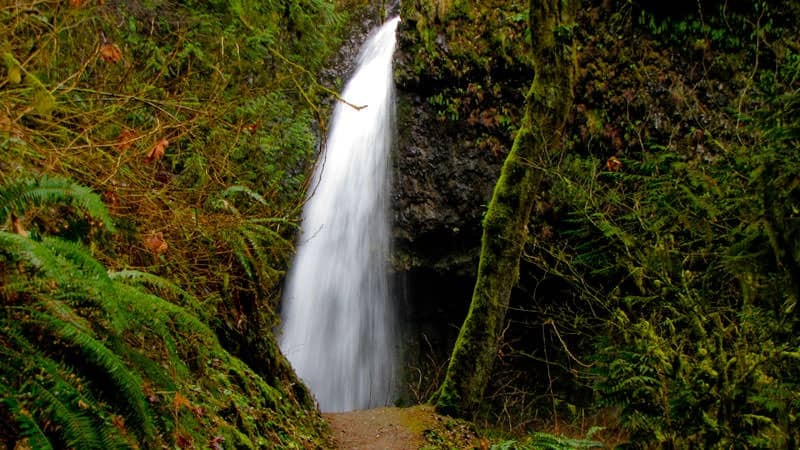 This is a great trail for small kids and the whole family. This trail starts in the parking area and climbs immediately. 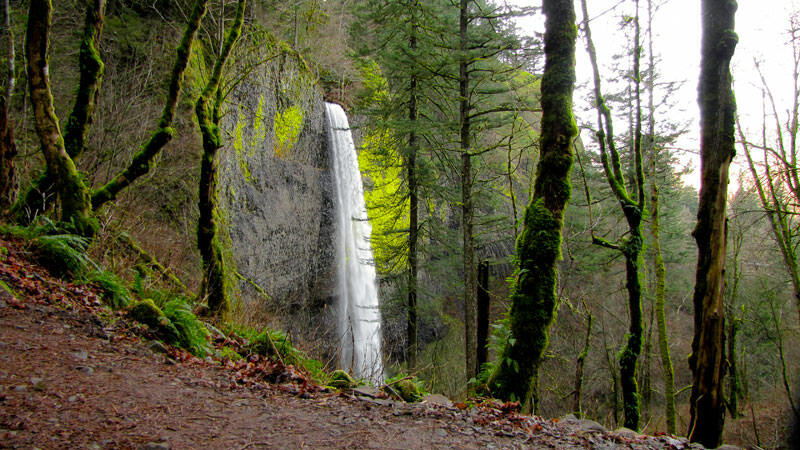 After the initial climb past Latourell Falls the trail levels out. It is well maintained and well marked. This loop is 2.4 miles long. 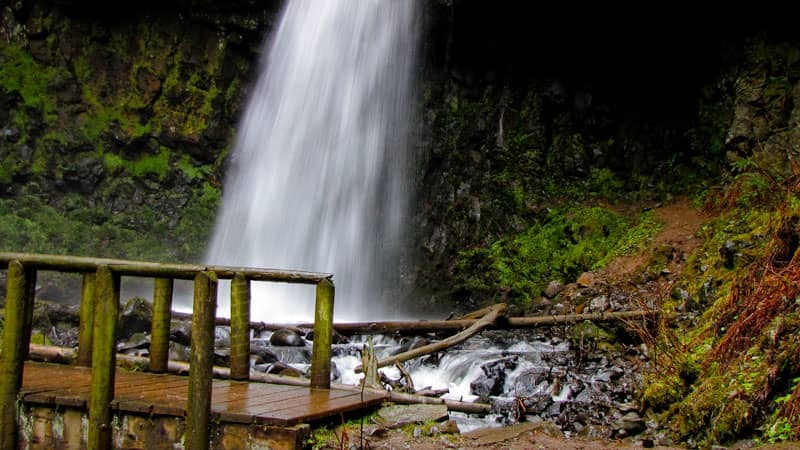 It will take you to a bridge at the base of Upper Latourell Falls, and for the sure footed you can get over close enough to touch the waterfall. After the waterfall the trail goes on the other side of the creek then up through the woods and back to the HCRH just west of the parking lot. 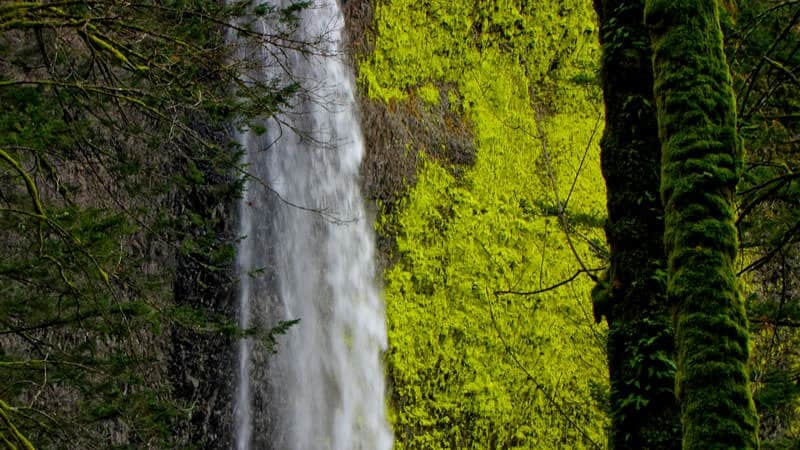 There are some sections of the trail that wander through trees that are very interesting in shape. 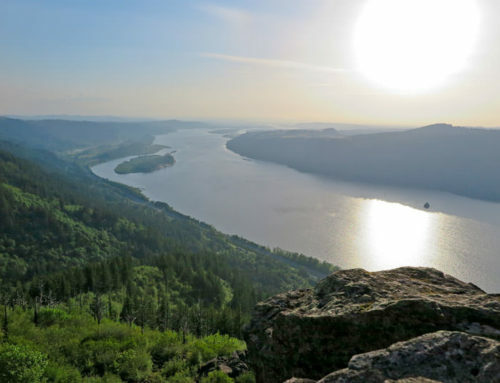 Great family hike.